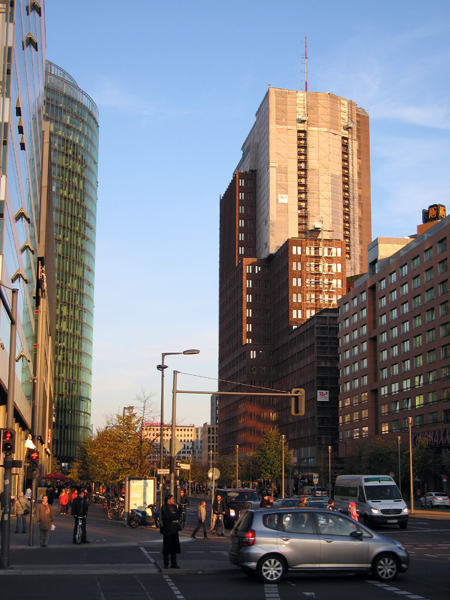 On my way through Potsdamer Platz the other day I saw the repairs being done to the pseudo brick cladding of Hans Kollhof’s heap down there. This edifice, designed to impress with its solid look, feigned historical value and weighty stance, is now coming apart at the seams –less than ten years after its completion. The upside is that it looks better covered in scaffolding than it did before the brick-look panels began to peel away.